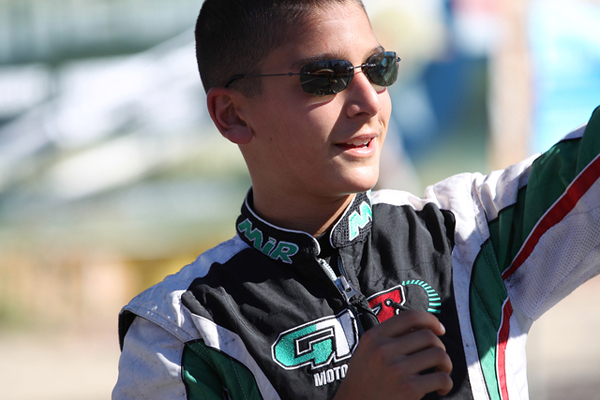 Starting his 2013 campaign at the World Karting Association Daytona Kartweek, Gangi Jr. nabbed two wins to set the tone for yet another successful year of karting. Contesting both the TaG and Rotax weekends of the FWT, the young phenom was on top of his game as he went on to score both wins in TaG Cadet and one victory in Rotax Mini Max during the opening two weekends at the Palm Beach International Raceway. 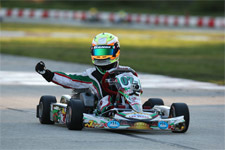 Upping the ante at the Homestead FWT rounds, Gangi Jr. scored all four feature wins in his divisions and was named eKartingNews.com's Driver of the Month for his efforts. 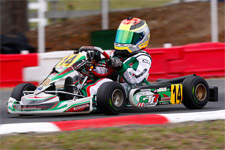 Moving to Ocala for the final rounds, the GT7/TonyKart driver would earn top honors during the first weekend at the Ocala Gran Prix, as he was named the 2013 FWT TaG Cadet Champion. 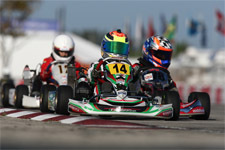 Closing out his run at the FWT, Gangi Jr. would also earn the Vice-Championship in the Rotax Mini Max class. 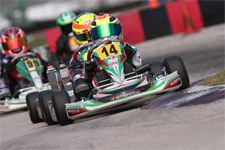 Gangi Jr. would then continue his successes, earning another victory as well as four podiums at the second round of the WKA Manufacturers Cup. Adding six top five-results in New Castle, Indiana round, the Brookville, New York resident then earned a Grand National Eagle as well as four top-five finishes in Man Cup action at Jet Karting in South Bend, Indiana. 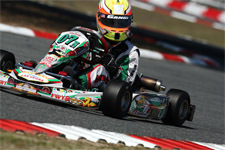 Making the switch to the junior ranks during the inaugural event of the United States Pro Kart Challenge (USPKS) in May, Gangi Jr. would prove himself with two podium results. Testing the TaG Junior package and joining forces with Whisler Racing Services' AJ Whisler, Gangi Jr. would then turn heads in west coast karting action. Sweeping the fifth round of the SKUSA California ProKart Challenge (PKC) in Buttonwillow, California, the young gun put on a dominating performance. Returning to California for the annual SKUSA Streets of Lancaster event, Gangi Jr. was again the driver to beat as he took the TaG Junior victory and back-to-back PKC wins. Closing out his season with a respectable 16th place finish at the SKUSA SuperNationals, Gangi Jr. is now set to tackle his first full season in the junior ranks. 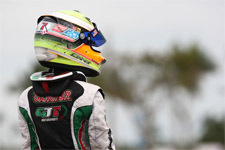 Starting off at the Rotax weekends of the Florida Winter Tour, Gangi Jr. will look at add yet another FWT championship to his already impressive resume. Also taking in Rotax action on the west coast, the up-and-coming pilot will also contest the Rotax Challenge of the Americas. After wrapping up the two winter series, Gangi Jr. will then focus on the full USPKS schedule as well as the SKUSA ProTour and Eastern Canadian Karting Championship. If that weren't enough, Gangi Jr. will also look to earn top honors at the Rotax Summer Shootout and the United States Rotax Grand Nationals, as well as the Rotax Pan-American Championship. The GT7 Motorsports driver will also be back to defend his Streets of Lancaster win, and will wrap up his 2014 schedule at the prestigious and exiting SuperNationals in Las Vegas, Nevada.